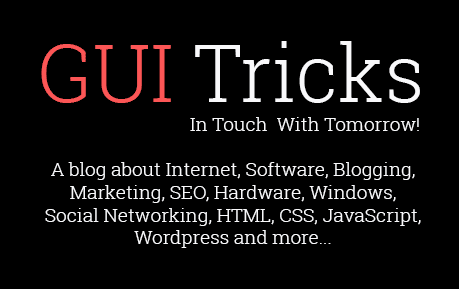 A Definitive Guide On Optimizing Content To Boost Website Ranking | GUI Tricks - In Touch With Tomorrow! A Definitive Guide On Optimizing Content To Boost Website Ranking - GUI Tricks - In Touch With Tomorrow! Having an online presence is of primary importance nowadays. For this, the website should have content that directly addresses the need of the audience. This is the only way that makes the audience trust your website which ultimately increases the popularity of your brand. However, there are so many websites available on the internet that deal with the same set of services and yet everybody claims that they provide the best one. In such cases, the reader chooses to visit only that website which has a better ranking on the SERP. In short, a website which has mastered the art of Content marketing. Now the question arises, how content marketing should be focused that would attract a reader to your website and boost its rank? There are so many content writing and marketing agencies that work in content optimization. Many experts have claimed to formulate procedures for better content marketing skills. 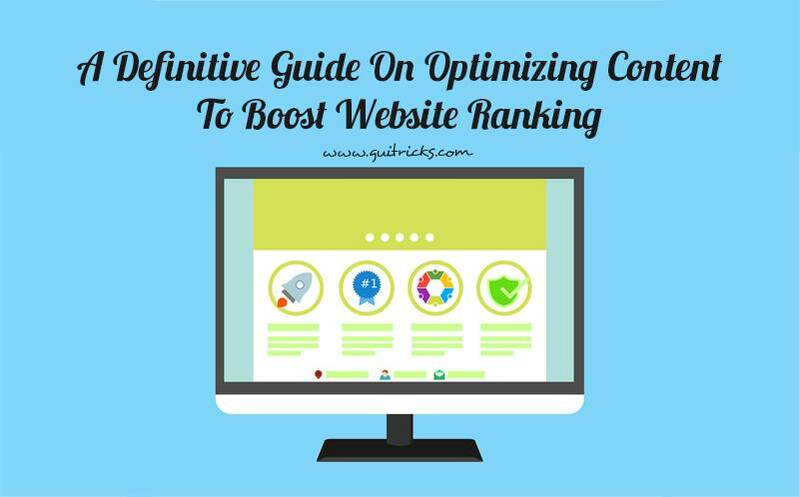 Let us analyze the most suggested tips that make a website rank better. If you know the basics of Search Engine Optimization, then you are familiar with the techniques of website optimization. Before you indulge in creating fresh content for the website, analyze if the previously posted blogs and articles are doing well or not. You can get a simple idea from the page rank while searching the specific keyword. Attaining the first rank is definitely the goal of all the website holders, but the first 3 ranks are considered optimal to catch the viewer’s attention. Although some content marketing experts say that the first 5 ranks are the best. So, if your article lingers on positions below these ranks, then you have found the low performer of your website. You can also make use of various online tools that determine the rank of the page. Moreover, they can also tell if the article has slipped in position or has gained popularity. The most important part begins now. You may have ample knowledge about the subject, but it would not reach the users until you optimize it according to the search engine. The content marketing companies suggest that after you have found the low performing article, you can work according to the following discussed method. Dig out obsolete information from the post and replace it with the most updated one. Technology is updating with every moment. For effective content marketing, highlight the recent updates and omit the old information from your post as a reader is inclined towards reading about the current happenings. You should also take care of the helping images that you have added on the page. Always add compelling images that motivates the reader to roll over the information with much enthusiasm. Also, update the “alt tag” according to the keyword, if necessary, as alt tags play important role in content writing and its optimization. However, if you do not want to omit your previously researched and written article, you can highlight the recent updates in your post and still keep the older versions of the technology. This is a great way to keep the readers engrossed in an article where step-by-step updates are compared. You might not have put all the related information in your article. Thus, not many people would be finding your article self-sufficient. Whenever you are attempting any informative article regarding any issue, first of all, update yourself with the concerns of people related to that matter. 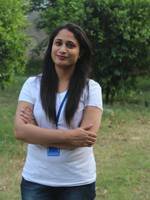 You can follow forums and many questions and answer sites that let a person directly raise his concerns. While using those questions as a starting point, write the articles so that those questions are answered automatically. When you are re-addressing your article, then complete the missing links and talk about the latest happenings about the things. You can also check what your competitor is writing about that has made their ranking sore in the crowd. A person, who is an expert in content marketing, knows how to mold the sentences so that the keyword insertion looks natural. Also, adding too many industrial jargons may become too confusing for the reader and people would not really want to keep a dictionary on while reading your article. The article for content marketing should be structured in such a way which makes it easy for the reader to understand it and have a lasting impact on his mind. 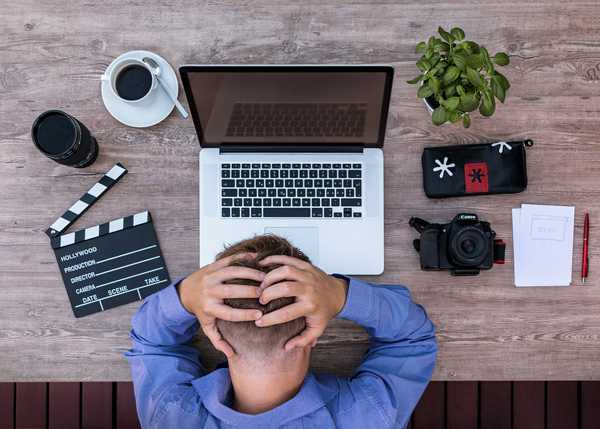 Eye-catching headlines can help you in attracting many heads; however, keeping them motivated towards reading the full article is a herculean task. So, try and be as natural and informative as possible while writing your piece. You can also use Google keyword planner and other such services to find the high-performing keywords for your product and incorporate them in your article. This is a sure shot method to gain popularity in the virtual world. Another powerful tool that content companies use to amp-up their article is by using live examples in their articles. This is because people love taking notes about the experiences of others. Moreover, a recently conducted case study can help you imply your motive of writing the article to a greater extent. If you have already written one in your old article, then replace it with a new one, if any. Or, you can just modify your sentences to include more impactful words and highlight the conclusion more. Quick Tip: Add a time-stamp to your articles so that the viewer knows that it has been updated with current information and they will read it and share it. Your website’s rank will improve if your words are circulated and read widely on the internet. If all these steps are diligently followed, then your low ranking article can become the talk of the town. As you proceed systematically, the flow of your article will keep the viewer’s attention intact and this will decrease the bounce rate of your website. This is what most of the content companies are up to. In the end, providing a clear cut picture to the audience helps in winning their confidence and boosts your page rank.